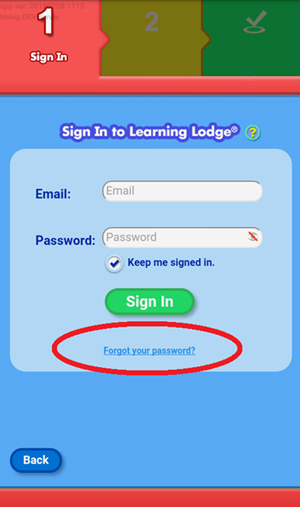 What do I do if I forget my Learning Lodge® password? Touch the "Forgot your password?" link under the "Sign In" button. Then, type the characters you see in the picture into the text box below it. Tap the "Continue" button when you're done. If the characters are difficult to figure out, tap the speaker to hear them, or tap the reload icon to load a new picture. 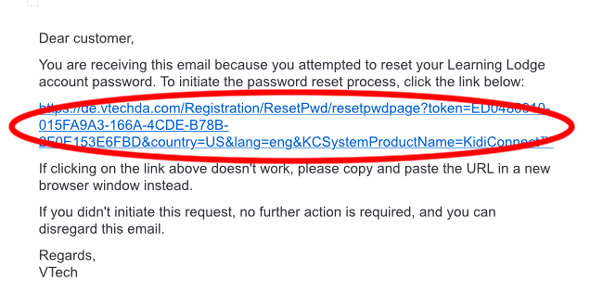 If you do not receive the email within an hour, check your junk mail folder. 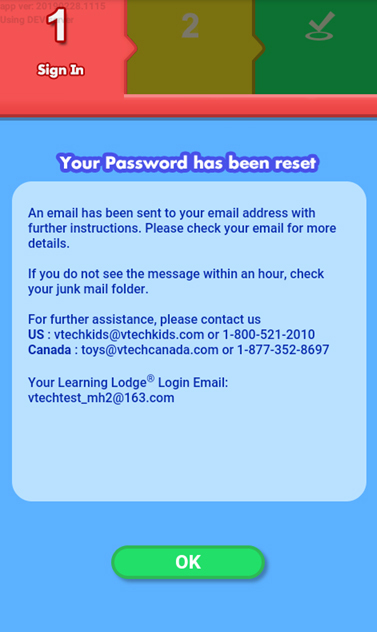 If you still cannot find the email or the email was sent to an address that is no longer valid, please contact VTech's Customer Service department for assistance. Check your email and click the link within the email to open the link in a browser. 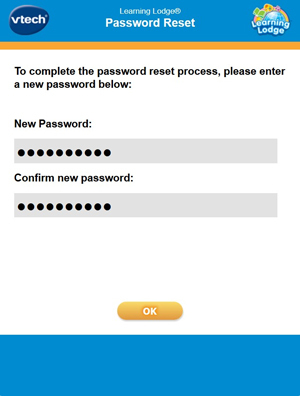 Enter a new password and repeat it in the confirmation field. Touch "OK" when you're done. 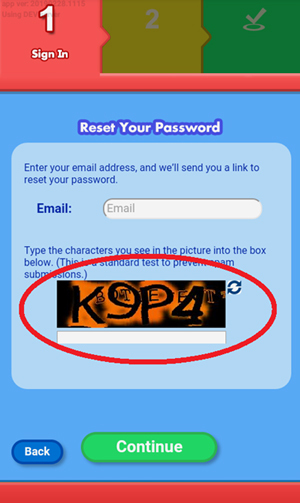 Your new password must be at least 8 characters in length, contain both upper and lower case letters, and have a number in it. 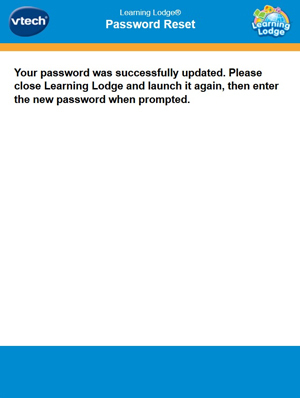 You'll see a message saying that your password was successfully updated.